I picked up The Children’s Blizzard thinking it would be like The Long Winter that is part of the Little House on the Prairie book series. 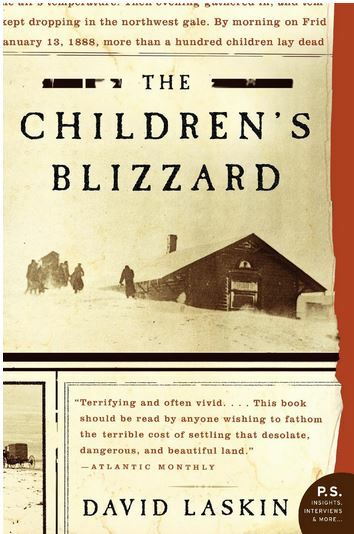 I recognize that Laura Ingalls’ books are a romanticized (sometimes fictionalized) account of settlers on the prairie, but The Long Winter remained a “bad, but not so bad” accounting of a stormy year until I read The Children’s Blizzard. David Laskin brings to life the hardships of living on the prairie in a way I haven’t read before. While any storm would be difficult enough to endure for the immigrant settlers scattered across the plains, this “storm of the century” was simply devastating. I would recommend this book for nearly anyone, but particularly for those who grew up on the Great Plains, who are fans of Little House on the Prairie, weather geeks, and/or those whose ancestors were settlers on the prairie.